The national auction, which runs from Tuesday, August 21, through Tuesday, September 12, offers once-in-a-lifetime golf and lifestyle experiences to benefit The First Tee and their national programs that positively impact the lives of millions of kids. Through our chapters, in-school and after-school programs, The First Tee helps shape and impact the lives of young people from all walks of life by reinforcing its Nine Core Values, such as integrity, respect and perseverance, through the game of golf. “The First Tee National Auction by Charitybuzz” kicks off at The First Tee Experience at THE NORTHERN TRUST 2018, the PGA Tour’s first FedExCup Playoffs event of the season. Fans visiting The First Tee Experience, the week-long, interactive destination for kids and families at the golf tournament, will be able to view videos of the incredible “bucket list” auction items available for bid. Visit charitybuzz.com/thefirsttee to learn more about The First Tee and view all of the auction lots for the campaign. “The partnership between Charitybuzz and The First Tee has helped raise hundreds of thousands of dollars for a worthy cause, and our impact only continues to grow,” said Ben Erwin, General Manager of Charitybuzz. “By working together, we’re granting even more children this unique, transformative experience with sport that The First Tee offers,” said Ben Erwin, General Manager of Charitybuzz. Since its inception in 1997, The First Tee has introduced the sport of golf and The First Tee’s Nine Core Values to more than 15 million kids. The First Tee offers programs in all 50 states, reaching more than five million kids annually through: The National School Program in more than 10,000 elementary schools, 150 chapters at more than 1,200 golf courses and The First Tee DRIVE at 1,300 youth centers. Charitybuzz is the world’s premier charity auction destination, bringing its online community of bidders exclusive opportunities to live their dreams and make a difference. 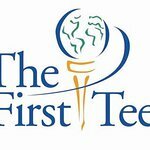 To learn more about The First Tee and view all the auction lots for this campaign, please visit charitybuzz.com/thefirsttee now through September 12, 2018.